St. Martin's Press, 9781250055828, 352pp. 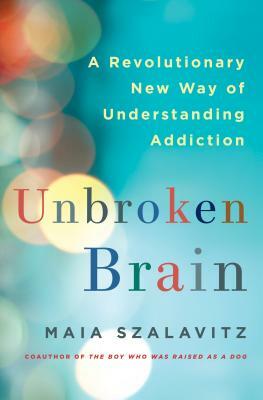 Challenging both the idea of the addict's "broken brain" and the notion of a simple "addictive personality," The New York Times Bestseller, Unbroken Brain, offers a radical and groundbreaking new perspective, arguing that addictions are learning disorders and shows how seeing the condition this way can untangle our current debates over treatment, prevention and policy. Like autistic traits, addictive behaviors fall on a spectrum -- and they can be a normal response to an extreme situation. By illustrating what addiction is, and is not, the book illustrates how timing, history, family, peers, culture and chemicals come together to create both illness and recovery- and why there is no "addictive personality" or single treatment that works for all. Her writings on radical addiction therapies have been featured in The Washington Post, Vice Magazine, The Wall Street Journal, and The New York Times, in addition to multiple other publications. She has been interviewed about her book on many radio shows including Fresh Air with Terry Gross and The Brian Lehrer show. MAIA SZALAVITZ is widely viewed as one of the premier American journalists covering addiction and drugs. A neuroscience writer for TIME.com and a former cocaine and heroin addict, she understands the science and its personal dimensions in a way that few others can. She is co-author of Born for Love: Why Empathy is Essential - and Endangered and The Boy Who Was Raised as a Dog, both with Dr. Bruce D. Perry. Her 2006 book, Help at Any Cost: How the Troubled-Teen Industry Cons Parents and Hurts Kids is the first book-length exposé of the "tough love" business that dominates addiction treatment. She writes for a variety of publications includingTIME.com, theNew York Times, New York Magazine, Pacific Standard, Scientific American, Nautilus, Matter, Elle, Psychology Today, VICE, and Marie Claire. "Maia Szalavitz is one of the bravest, smartest writers about addiction anywhere. Everything she writes should be read carefully - I guarantee you'll have a lot to think about, and you'll know far more than at the start." "Of the countless writers out there who's focus is addiction, no one can begin to touch the brilliance of Maia Szalavitz. She is by far my favorite addiction writer, perhaps one of my favorite writers ever. Her passion and exceptional writing talent combined with her exhaustive research, create a book that will inspire, educate, enrage, and entertain. I can only promise one thing: if you read this book, you will never be the same again."